How was 2018 for SUZOHAPP and what are your expectations for 2019? Gaming revenues on the whole were up for most operators throughout the world that gave 2018 a positive note. This could be seen at the major exhibitions such as ICE and G2E Las Vegas where attendance numbers were up and there was much more of a buzz to the shows when compared to previous years. As the global gaming industry’s leading supplier of components and solutions for OEMs and operators, we have benefited from this uplift. Another major reason for success is our dedicated product line that continues to grow – both our SUZOHAPP range and the distribution products / brands we offer. 2018 was also a challenging year as we have integrated so many companies and brands under the SUZOHAPP roof. The direction is clear and we can now focus more this year in ensuring that our customers benefit from the unique choice we offer. Price is always a factor with casino operators, so how do the prices of products from SUZOHAPP compare to OEMs and alternative distributors? Sure, price is a factor that affects us all. We are all faced with price decisions every day. The price has to be right and that is always our goal with our customers. The big term is called economies of scale. As we offer so many solutions – we can provide practically every single component that fits into a slot or sports betting machine – manufacturers don’t need to waste their time dealing with lots of different suppliers. They just need to deal with one – us at SUZOHAPP. And just like in the consumer world, the more you buy, the better the price becomes. The best choice at the best price – all from one supplier – that saves time and money. Operational Efficiency of Casino operations can be affected by poor Cash Management. How can SUZOHAPP assist Gaming Establishments. For example, do you operate trials at Casinos as a way of demonstrating the effectiveness of the latest Cash Handling and Management systems and Equipment? We have had a dedicated team to support the casino operators in both components and solutions. We have the ability to support casino operators directly or through local partners, not only with trials but also from pre-sales to after-service. It is not just about having a direct source for spare parts – it is much more than that. We are a technology-based company and actively advise operators on how to manage their cash on the most efficient way and reduce overall costs significantly. What Other areas does SUZOHAPP assist Operators with increasing their operational efficiency? We place emphasis as well on informing operators of new technology and providing them with technical support, training and service. We see that this speeds up the integration of such technology. At the end of the day the player can access this technology more quickly so it’s a win-win for all. What are the main benefits SUZOHAPP bring to the sales reach of your suppliers, such as Elo Touch, Nanoptix and Newland? We are a truly global company with over 1,000 employees and facilities in 37 separate countries. We live and breathe gaming and are well known and respected throughout the Gaming world. We have a large team of professionals with years of experience and expertise on what goes into a Gaming machine or Sport Betting terminal. We at SUZOHAPP offer a complete package of all key components to OEMs. Our customers know they can rely on us to support them with integration, just in time delivery, quick spare parts availability and service. During Autumn 2018 the company announced the joint marketing agreement with German Software Solutions provider for the betting industry Digitote. What has been the primary reasons for this partnership and can you explain to our readers details of these products? There were several reasons why we entered into this agreement with Digitote. The sports betting market is booming at present, especially in the USA. We have a strong presence in the USA. In May last year, the U.S. Supreme Court overturned a federal ban on sports betting, allowing states to legalize it. This legislative change opens up vast opportunities for business owners and entrepreneurs to offer sports wagering capabilities across a myriad of platforms, including online, kiosk, tablet, terminal and self-service. It’s simple - we have the hardware expertise and Digitote the software expertise. Together we offer an excellent sports betting solution. Do you see SUZOHAPP getting more involved in the years ahead with Sports Betting and associated Online Gaming Sectors? Sports Betting has been the fastest growing sub-industry over the last couple of years, becoming an integral part of our business. Once again at ICE we will be showcasing our Sports Betting components and solutions. SUZOHAPP has the capacity and know-how to provide the best solutions for the market place, making use of its hardware and software expertise. Creating visual impacts on the Slot Floors of Casinos is getting more and more demanding with ever increasing amounts of technology involving displays and their operating systems. What are the latest range of displays that SUZOHAPP provide and what aspects of their latest range makes them in your opinion a must buy for Casinos? 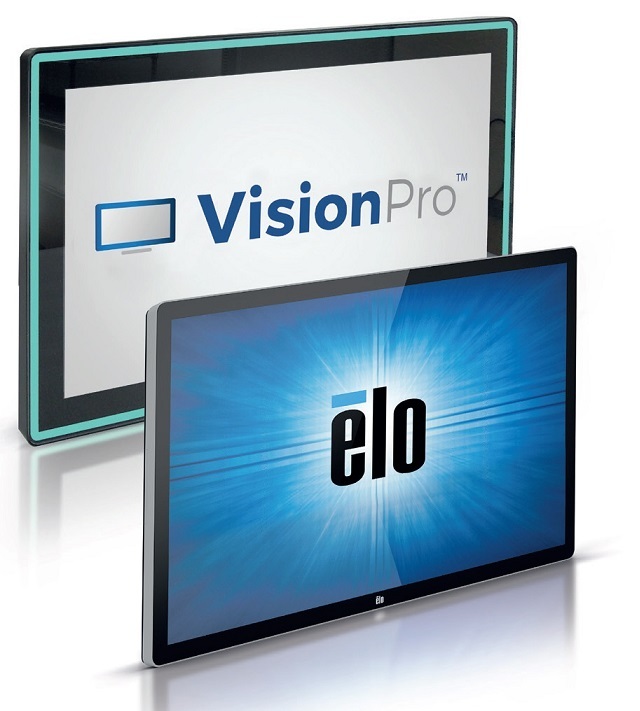 We have an amazing choice of in-house solutions: the VisionPro™ Edge-Lit LED Touch and Non-Touch monitors. We also offer a wide range of distribution touchscreens – Elo Touch represents the high-end solution. Elo is the world’s largest producer of commercial-grade touch displays, over 20 million installations, producing nearly 2,000 units per day. Indeed, Elo quality is never in doubt that reflects our focus on bringing the best technology to market. What are the key features of the VisionPro™ Edge-Lit LED Touch and Non-Touch monitors? These stylishly engineered Edge-Lit LED Monitors are gaming monitors with LED frames. They come in several sizes, 21.5”, 23.8”, or 27” with wide viewing angle and Full- HD resolution. Also choose the design, either Integrated for mounting monitor flush inside your cabinet, or External for floating the monitor outside your cabinet with a halo lighting effect. You can also choose between fully addressable LEDs, individually driven by +5VDC with an IC, or RBG for a solid colour all the way around, driven by +12VDC. And finally all are either with flat 10-touch PCAP touchscreen or matching non-touch 3mm tempered glass. The monitors feature rigid high-quality PCB-mounted LEDs with no adhesive strips and no hotspots, with VGA + DVI inputs (HDMI and DisplayPort available). Customization in any size is possible. 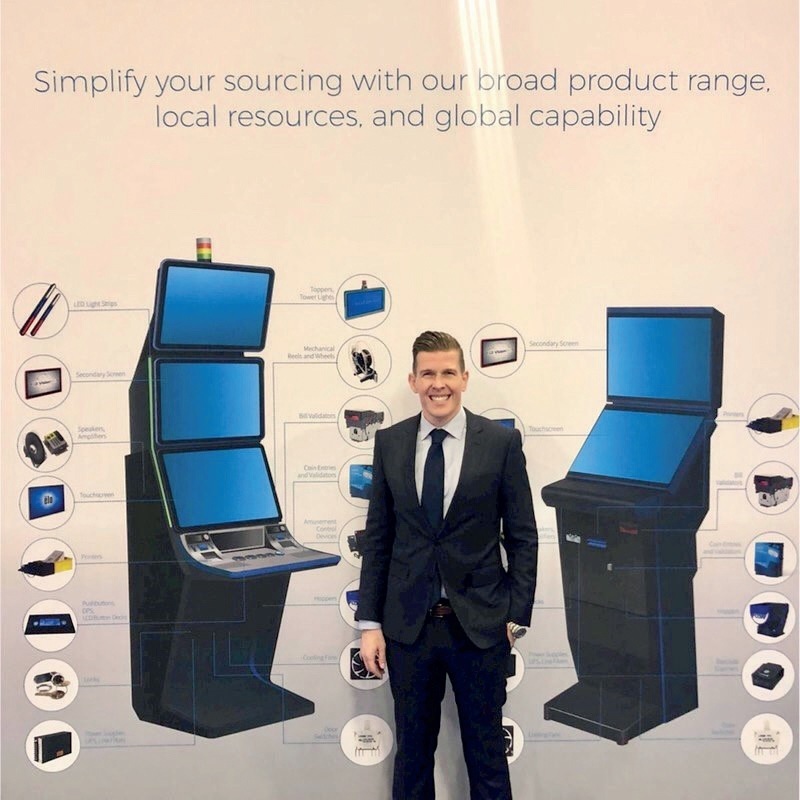 What is the company’s approach to investment in new designs incorporating the latest technology with stock products, such as LCD button decks, pushbuttons, barcode scanners, locks, toppers? We are a technology company. We are constantly investing to create leading innovation for our industry which you will see at ICE. We employ 115 engineers throughout the world. The focus on technology has transformed our company and made SUZOHAPP such a strong name. Earlier last year SUZOHAPP acquired Coinco. 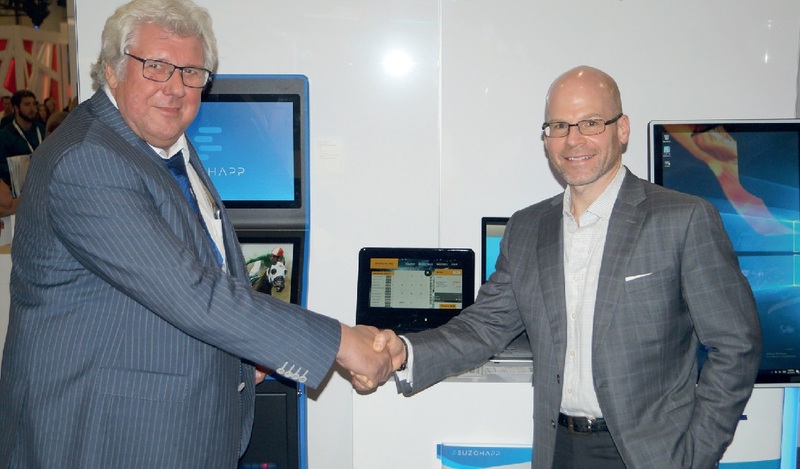 How has that product line complemented the company’s portfolio of payment solutions? We at SUZOHAPP are active in a multitude of industries. Coinco has strengthened our product offering in the vending market. It is our strategy to be (or become) the leading technology supplier to each industry for cash management components and solutions. That explains why we focus on acquiring new companies to be added to the group so much. Exhibitions are an effective way for the industry to see the latest gaming, equipment and associated systems on the market. What can visitors to ICE Totally Gaming 2019 expect to see at the SUZOHAPP booth? We are a complete source for Gaming and Sports Betting Components and Solutions. 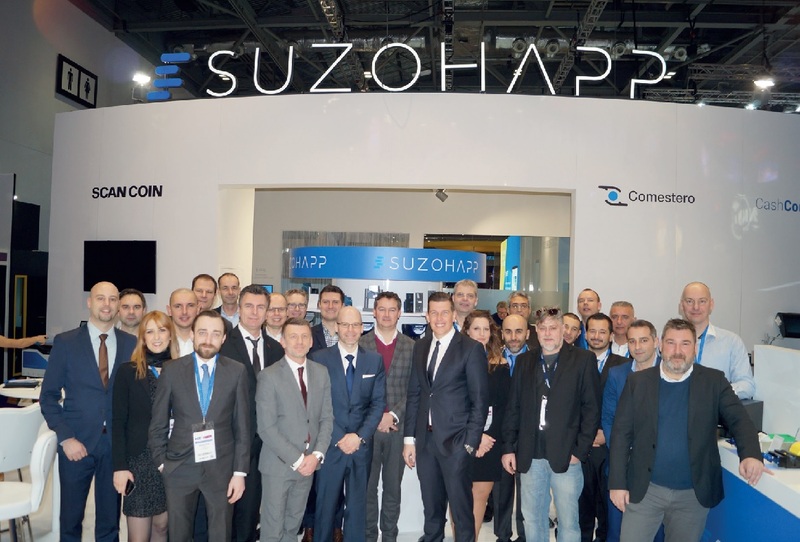 Indeed, SUZOHAPP is the only global company providing a comprehensive offering of components for casino and sports betting for OEMs. This includes but is not limited to LCD monitors featuring top quality brands such as Elo Touch Solutions and SUZOHAPP’s very own VisionPro™, in addition to bill validators, printers, coin mechanisms, LCD button decks, push buttons, barcode scanners, locks, toppers, USB chargers, power supply, and more. The main highlights at the show will include our latest VisionPro™ and ELO displays, push buttons (in particular the versatile and innovative DPS), a wide range of components for sports betting solutions, new Nanoptix printers and the new Giussani E-PRL (electronic) lock. Therefore, at ICE we will feature a wide range of component offerings for gaming and amusement machines and sports betting terminals. We are one source with the world’s largest offering for the gaming industry. This means that we can simplify your sourcing with an extremely broad product range, local resources and global capability. We can provide our customers with every single component required in a gaming, amusement and sports betting machine. This significantly simplifies their sourcing – saving time and money. Customers also appreciate having just one contact for so many different requirements. Finally, we are also a leading software and hardware supplier of complete cash management solutions typically found anywhere from cashier cages to large-scale back office operations. 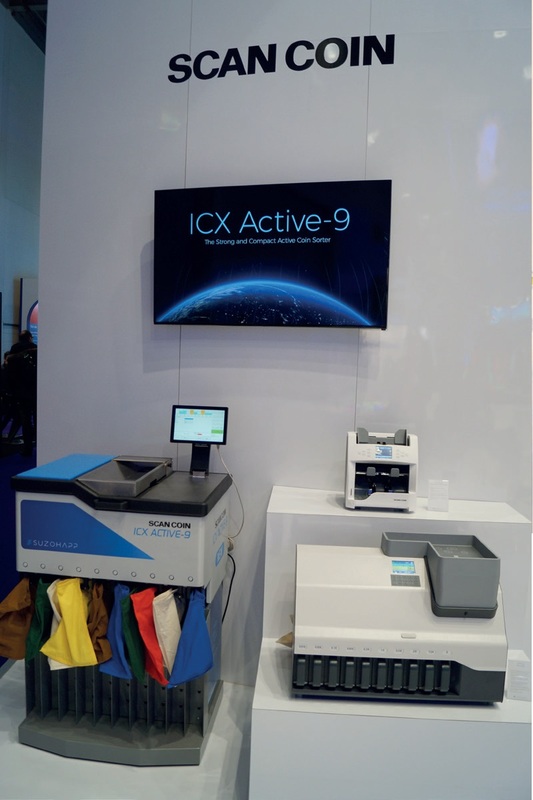 At ICE we will show a model of a cashier’s cage demonstration and present a wide range of CashComplete™ solutions coupled with its CashComplete™ Connect monitoring software. The main highlights will be: the SCAN COIN ICX Active-9 Coin Sorter, CashComplete™ SDS-35 Smart Deposit Solution and RCS- 400 & 500 Recycling Cash Solutions. In this way operators get a real-life view of how to best put our solutions to work. We send out a warm welcome to come and see us at ICE. Our stand is N3-130, just a little away from our customary position. Our booth will be larger than in previous years to enable us to show a wider range of our products and solutions. Our international team is looking forward to seeing you and helping to support your business. Come and find out more about our latest products and solutions and the difference they make.